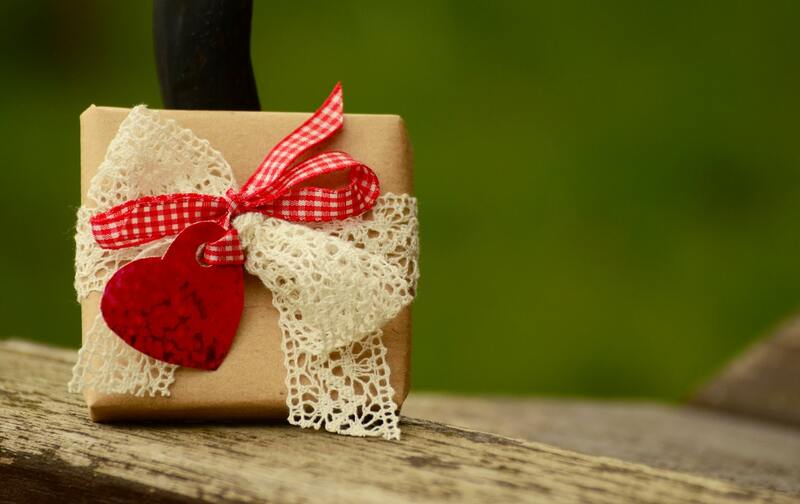 Posted by Denise Deby. 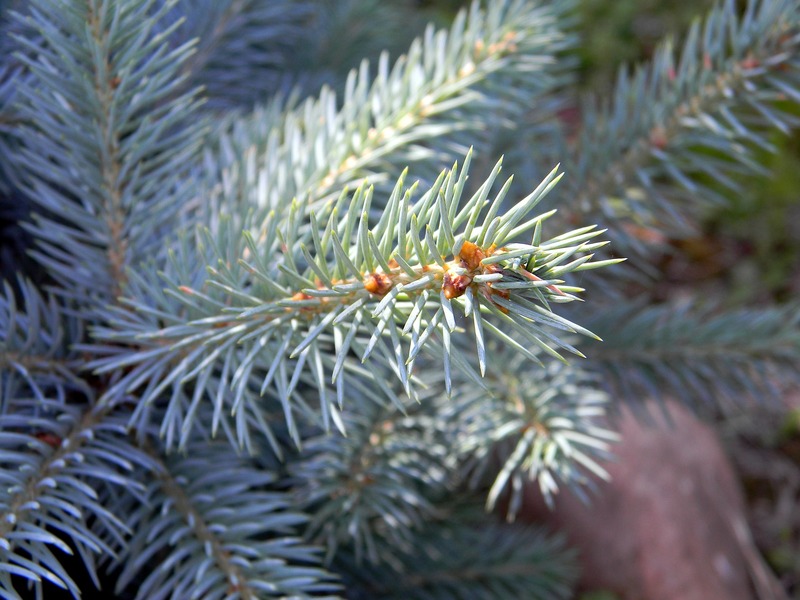 Thanks to Paige Inglis at Just Food for the information. Last month I posted about Just Food’s Start-Up Farm Program, which makes land, equipment and training available at the Just Food Farm site for people to try local, organic farming for a year. Just Food is hosting more information sessions for anyone who’d like to learn more about the program or is interested in applying this September for the 2017 growing season. The sessions are on Thursday, Aug. 25 and Wednesday, Sept. 21, 2016 from 6:30-9 p.m. at the Blackburn Hamlet branch of the Ottawa Public Library. 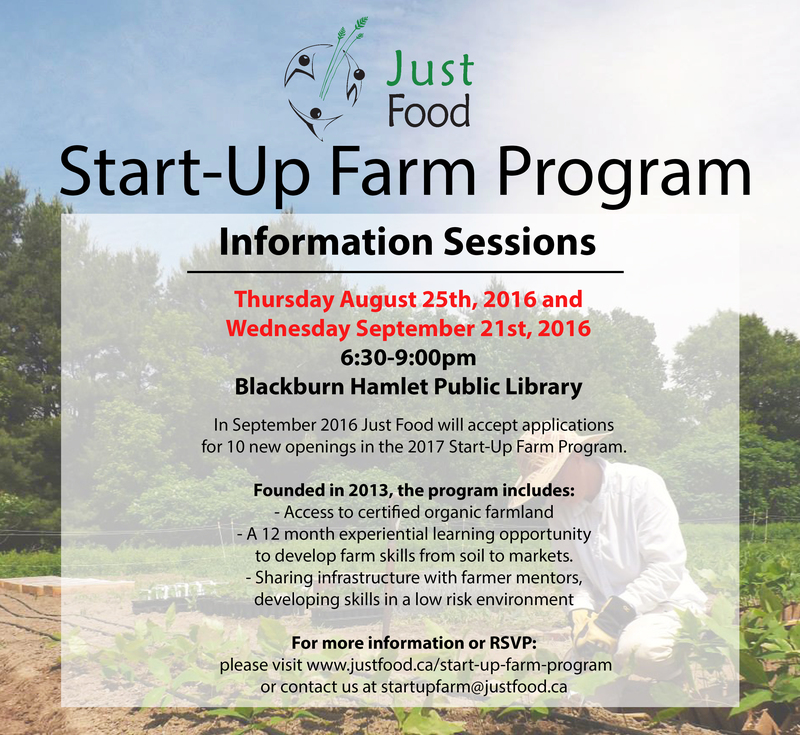 More details on the program are at http://justfood.ca/start-up-farm-program/. 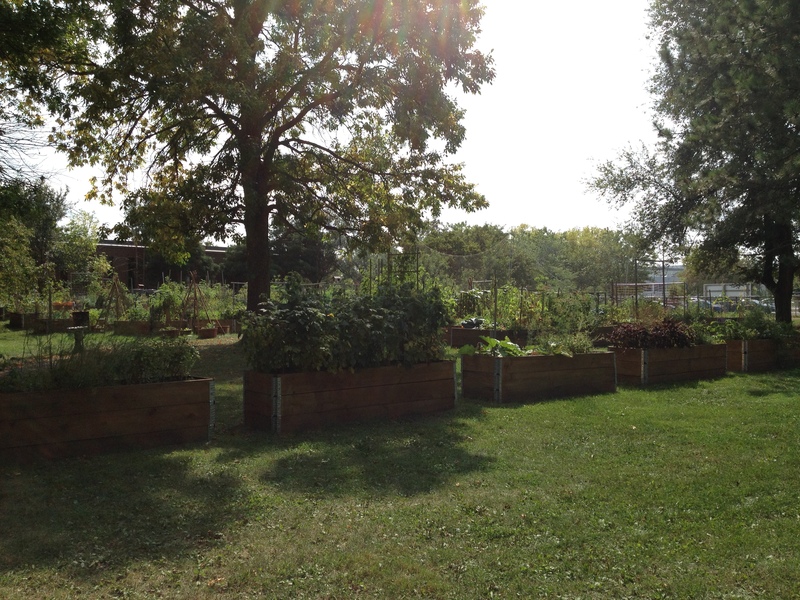 For other ways to learn about and get involved in supporting Ottawa’s local food system, check out Just Food’s other great programs, including the farm stand which sells fresh produce on Sundays from 10-3. 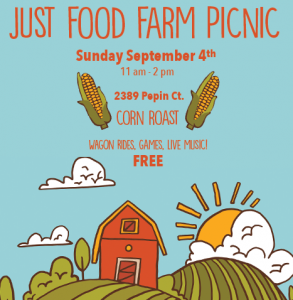 Just Food is also hosting a picnic on Sunday, Sept. 4, 2016 from 11 a.m.-2 p.m. 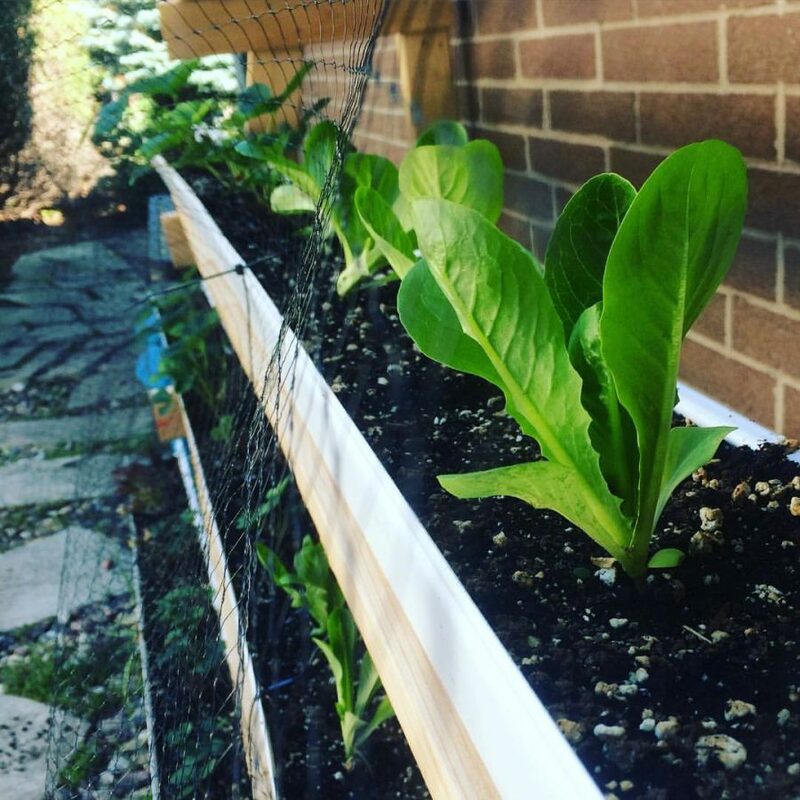 Ever wanted to try growing food for a living? Interested in scaling up your gardening or farm experience, or want to be part of Ottawa’s sustainable local food system? 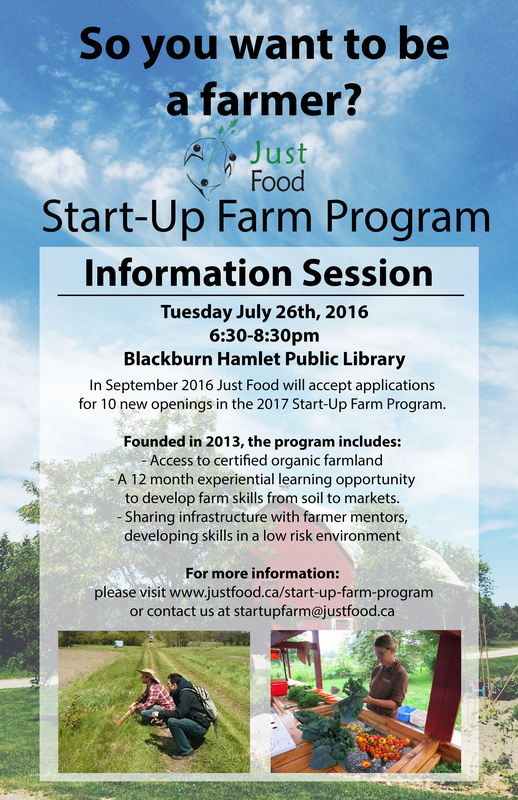 Just Food’s Start-Up Farm Program is preparing for the 2017 growing season and will be hosting an information session on Tuesday, July 26, 2016 from 6:30-8:30 p.m. at the Blackburn Hamlet library branch. 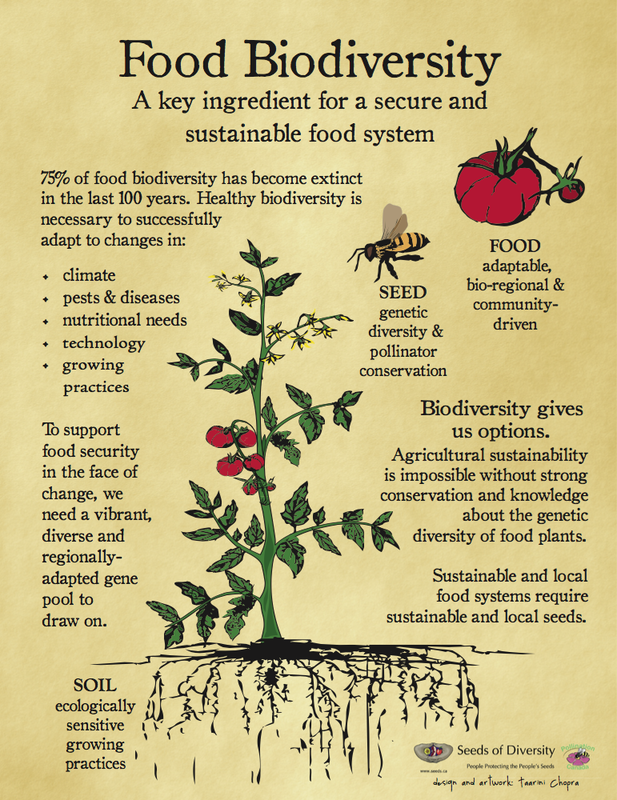 Just Food is a great organization that works on all things food security and sustainability in Ottawa, from farm to fork. They’ve been running the Start-Up Farm Program for several years, and some wonderful local producers got started through the program. Participants get access to land, shared equipment and workshops on everything from crop planning to organic certification to harvesting to business planning. It’s a less risky way of exploring the field, so to speak–plus a way to meet other farmers and tap into Just Food’s networks. See Just Food’s Start-Up Farm Program website page for more information about the program and criteria for applicants. You can also email startupfarm@justfood.ca with questions.